This site includes affiliate links. That mean the site will receive a small commission from any purchases made after clicking through an affiliate link. This does not cost you anything. The price you pay will be exactly the same. These links put cookies (tiny files) onto your browser to ensure the site owner gets any reimbursements due. These tiny files CANNOT hurt your computer. 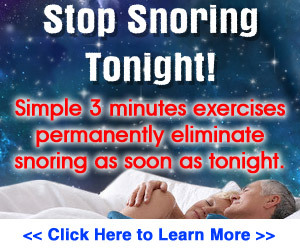 If you do not like the idea of bestwaytostopsnoring.com receiving commission for any referred sales, then please do not use this website. You can read more about cookies on our PRIVACY page.